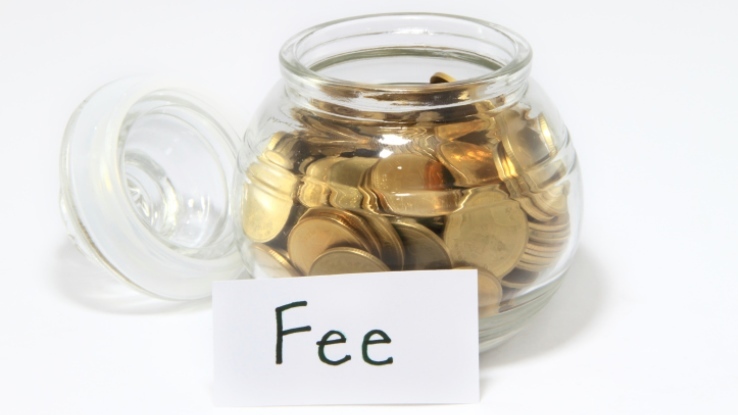 Are flat fees really better for clients — or for advisors? The current "all or nothing" thinking that advisors have to be either 100 percent flat fees or 100 percent AUM fees obscures the advantages of both. Over the years, I’ve come to realize that people can have something valuable to say, even if their supporting arguments are hopelessly flawed, so I try not to react until I’ve heard all of their idea. With that said, I have to admit that when, about a year ago, a financial planner raised the latest argument for flat fees with me, I wasn’t very receptive after her opening statement: “AUM fees are commissions.” That’s unfortunate because I do think that “flat” advisory fees have some advantages over AUM fees under certain circumstances. But the current “all or nothing” thinking that advisors have to be either 100 percent flat fees or 100 percent AUM fees obscures these advantages. This comment is exactly what I’m talking about: In his or her zeal to defend flat fees, the author ignores the reasons behind the current shift of virtually the entire retail advisory world — including financial planners, brokers, insurance agents, bank reps and accountants — to managing assets for a percentage fee. Here, the author is essentially making the same argument that Veres made: that it is unfair for clients with larger portfolios to pay more in actual dollars than clients with smaller portfolios. As with most of the recent criticisms of AUM fees that I’ve seen, this author at least appears to believe that AUM fees are a new idea, invented by independent advisors. So, we can safely say that the “smart money” has no problem paying more in actual dollars to have their money managed. What’s more, today’s critics of AUM fees (such as the first commenter) seem to focus entirely on the dollar amounts that clients pay, while ignoring the additional benefits that clients receive in AUM fee advisory relationships (like arguing that Mercedes rips people off because they could get to the same destinations in a Honda). First, do advisors really design and manage larger portfolios “exactly the same way” they manage smaller portfolios? Considering risk tolerances, time horizons, ultimate uses (inheritance, philanthropy, etc. ), I think we can agree: probably not. And keep in mind, the AUM isn’t just payment for portfolio management. As the second commenter pointed out, it goes for financial planning, and possibly tax planning, trust work, overall risk management, etc. I think it’s the experience of most financial advisors that wealthier clients have more complex financial issues. And finally, the flat fee advocates always seem to skate right over the “identity of interest” thing. One of the big problems with commission-compensated “advice” is that brokers get paid up front, regardless of how their investment recommendation performs for the client. Well, guess what? Flat fees have the same problem: The advisor gets paid the same whether the portfolio she created makes money or loses money. Sure, that’s better for the advisor — no more hits to revenue when the markets go down — but how do you think the clients feel about that? I can tell you as a client, I like it that my advisor makes less when my portfolio goes down, and I’m happy to pay more when my portfolio grows. I also like my advisor having an incentive to grow my portfolio: It puts the advisor on my side of the table — both ethically and financially — which is not true in flat fee relationships. Sure, AUM fees have some conflicts as well, like mortgage payoffs and direct business investments, but they’re easy to see and understand. Taken together, AUM fees are better for the clients, which just might be why assets are pouring into AUM accounts. In my next blog, I’ll talk about good ways to use flat fees.